CEOCFO: Mr. Bedard, what is the focus at ATW Tech today? Mr. Bedard: There has been an evolution in our business model since we have acquired the company Voxtel sliin October 2016. Initially, the company was focusing on offering its user-friendly and scientifically validated psychometric test to Human Resources that was developed over several years. We initially approached Voxtel for because they own an online dating site, in which we integrated our test. However, at the end we acquired the whole company because there were a lot of opportunities in Voxtel and no development was made, which we are focusing on right now. Those opportunities mostly include the carrier billing business, which is a high growth market, not only in Canada but even more in undeveloped countries. However, what we want to accomplish is basically to build an international distribution network where we can sell our products in those various markets. For example, we are contemplating the acquisition of PlusMobile, which is based in South America, which is a market where more people are paying their micro-transactions through their mobile phones. They mobile phone is basically a wallet for them. Therefore, that is one area that we are focusing on. The other one is, I would say, the messaging business. We recently acquired a platform here in Quebec that will allow us to accelerate the growth in this promising business segment as well. Therefore, we are operating in the telecomm technology environment, but more specifically in the telecomm business. CEOCFO: How do you structure the company in your services? Are you using the ATW name? Are you using the Voxtel and VuduMobile name? Mr. Bedard: Yes. Two months ago we announced a rebranding of our company. Before, we were named AtmanCo, which basically referred to as the HR services business. However, since we acquired of companies since then we had to rebrand our company to better align and communicate our vision and mission. ATW Tech owned a couple of brands, which includes AtmanCo or the AtmanTest, but also Voxtel, which is operating the telecomm business and VuduMobile, which is acting the messaging business. Eventually, we will also add to our portfolio PlusMobile in South America. Therefore, you will see on our website that we have changed the way it is presented to our in crowd. CEOCFO: Would you tell us about each of the services of Voxtel and of VuduMobile in a little more detail; particularly what sets the service apart from competitors? Mr. Bedard: Yes. I would say that what we offer is twofold. We offer a unified payment solution where obviously the carrier billing is the most important one. That is because that is where we have a key advantage over our competitors who do not have the opportunity to offer this. However, we also offer the credit and debit card payments as well as crypto-currency payments. We also offer a unified communication platform where customers can interact with their phone through text messaging, voice or data. We also have developed our own sophisticated votation platform. For example, we participate in many interactive TV shows like The Voice where people are voting for the best candidate and paying for their vote on their phone bill. CEOCFO: Are people using the cryptocurrency or is it more to be ahead of the game? Mr. Bedard: In fact, we just announced it a few weeks ago. Right now, we are integrating this payment solution with both our IT team and our partner Einsteinium. In fact, it is more than just blockchain. What we want is to change the way people paying for their transactions by offering an additional innovative payment solution to them. Therefore, it could be a way of cashing out the cryptocurrency that people hold. We are in advance of where the market is going. We really believe in this. Obviously, it is going to take months before we see some sustainable results. However, we think that it is going to change the way people use their cryptocurrency; by spending it through different services. That is where we are getting to. CEOCFO: How do you implement your service with a customer? 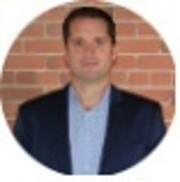 Mr. Bedard: Our knowledge or our expertise here are our team of developers, it is people that integrate the content within something that can be monetized through the different carriers. Most of our employees are in the technology or the development service, so we adapt the content that the content provider has to something that can be monetized and can be billed on the carrier invoices to the end users. That is our strategic role. CEOCFO: Security is an issue, always, everywhere. What is your approach? Mr. Bedard: It has been an important project for us. Over the last year or two, we have integrated our server into the cloud. We are not the only ones doing this, but I think it is a way to avoid any security issues, although you never know what could happen. However, we also have insurance policies in place to make sure there is no hacking or anything like that, that will happen to our data base. Our data base is really a strategic and valuable asset for us. The more and more people that are doing our personality test and when you combine those results with the demographics of all the people performing those tests, you can imagine that this data base is something very valuable and we want to continue to bonify it over the years. We own that data base and it is protected from any outsiders that could try to hamper this. CEOCFO: Would you tell us about your recent agreement with Globalia? Is that typical of what you will be doing, what you are doing now? Mr. Bedard: I would say that for our core products we will continue to develop and perform the marketing internally. However, we have some products that sometimes we need additional expert is where a revenue sharing model is a better solution, where we work with some other players that are really experts in those areas. The online dating marketing is an example. With the agreement we announced with Globalia inc. (“Globalia”), it is their experts in generating leads through publicity and other marketing and promotion means. We prefer to have fifty percent of the share, but to make sure that we are dealing with experts that can basically bring this to another level and the decision was made with our own online dating site. We can do the same for other applications or platforms we have. For example, we have a B2C site where people can do their personality test. That is also something we could contemplate later this year. Therefore, I think we are going to go more and more through a revenue sharing, more for some of our products that could just take time, human and financial resources to get off of the ground than just doing it this way. I think it is the right approach for some of our products. CEOCFO: Are people in the industry aware of ATW Tech? Are they aware of your history and the depth of your expertise or are many of the relationships you are looking at now fairly new? Mr. Bedard: If you go back a year ago, we were really under the radar, a small public company with low trading and a small market cap. Over the last year, we have seen a great improvement in that area. We have had some assistance from public relations firm. Now, our investor base is more broadly spread out in Canada. We have some work to do to also get known more in the US. I have recently been in touch with someone that could help us on that front. There is still some work to do to get our story known more broadly in Canada, but also in the US. That is for sure. We are going in the right direction, especially with our trading. If you look at the last six months there has been a huge improvement. There are more and more people that follow our story, but there is still work to be done. CEOCFO: Do you see other acquisitions? Is that the strategy? Will you be developing new ideas or both? Mr. Bedard: Yes, acquisitions are in the heart of our growth strategy. We want to build an international carrier billing distribution network. We have this opportunity in South America where they have twenty carrier billing agreements in different countries in South America. However, we also want to have connections with carriers in the US and in Europe. We have been in touch with two large players, pretty much the size of Voxtel; one in the US and one in France, where once we have completed the acquisition of PlusMobile, we can tackle again those two potential targets. We could even close one of the two later this year. We want to become a multiple player in terms of carrier billing and for that we need to broaden our distribution network. We also have our Board supporting us with that growth strategy. Personally, I have been working in the M&A space for years. I think that we also have the right management team in place to execute on our business plan which includes acquisitions and their integrations. CEOCFO: How do you stay focused as a company with so much opportunity? Mr. Bedard: This is a good question. Right now, our goal is really to focus on the opportunities/projects that will generate a short to mid-term return on investment, which is why we have put on the sideline some projects that are more long term. We are not giving up on those because they have huge potential, as I was referring to earlier, on our B2C website for where we offer the personality test for example or by working on bonifying our data base to convert it more and more into smart data or artificial intelligence. Those are projects that are going to take time, but right now what we want to show to the investor crowd is that in 2018 we will become a company that is self-sufficient in terms of cash flows. For that, I think our priority is to focus on short term or mid-term returns. Therefore, that is how we prioritize our different projects internally at this point. CEOCFO: Address our readers in the business and investment communities. Why take note of ATW Tech? Mr. Bedard: I would say that the first thing is that we are an active player in fast growing markets whether it be carrier billing or the messaging business. Both segments are growing rapidly and generating recurring revenues, so it is promising. We have many technological solutions within our portfolio. We were a company that is still under the radar and I think undervalued in terms of valuation, partly because of this. If you compare with other technology companies in Canada, some are very much far from making money and are valued much more. I think we are on the turning point where we want to people, the investors will realize that we have been turning into a profitable company. Right now, we are around $12 million in revenues, but with the PlusMobile acquisition we will get to nearly $30 million yearly. People will realize there is an opportunity to jump into the story and also that there is a promising future; not only because of the growing markets of carrier billing and messaging, but also because of the valuable data base that we are going to build over the years that could be monetized later on just for marketing and agencies, for instance. Therefore eventually, five years down the road some big telecom players could look at us, but it could also come from a data base or a technology company.